Rare Tiraspol Maidens are painted with a red skirt under a square apron. As is traditional with Tiraspol dolls, they are painted with orange details and blue flowers and berries, and have wavy black hair parted on the side. These dolls have orange cuffs on their sleeves, and scarves alternating in yellow and orange colors that hang down the back with fringe. 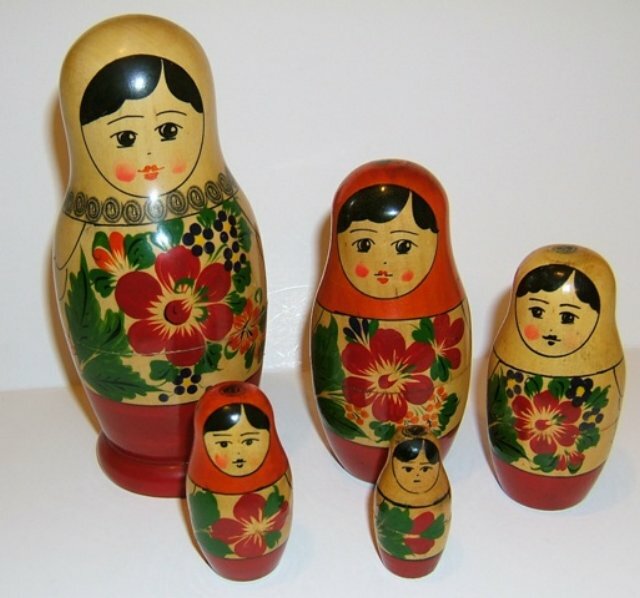 This set is incomplete as the smallest doll opens and is missing the inner solid doll.